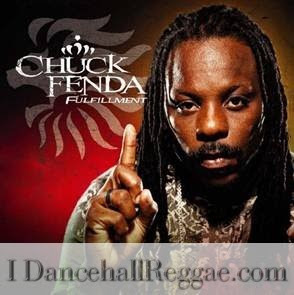 Caribbean Lifestyle Media-Chuck Fenda released his third album fulfillment on VP records in October 2009. Fenda collaborated with I-wayne, Bush Man, and Sammy Dread on this album. Fenda is currently on tour in California-the tour will last for 10 days. If you are in California, you can see Chuck Fenda in San Diego, Sacramento, San Francisco, Berkley, Sebastapol, Humboldt. Fenda's Fulfillment is available on Itunes for download. Born Leshorn Whitehead on June 15, in Brooklyn, New York; he always had a special love for music, making a hobby of impersonating some of his favorite entertainers as a youngster. It didn't take him long to decide to pursue his dream in the music business. In 1995 -6, he frequently travelled between Jamaica and New York to hone his deejaying skills. Having met and being guided by some of the top producers and performers of that era, he was persuaded to return to Jamaica and in 1997 released his breakthrough single – “Jah It’s All About You” under the tutelage of King Jammy. He spent most of his time at King Jammy's studio where he released top singles such as “Shut Yuh Mouth When Bad Man Talking”, “Mi See It Clear”, “Badda Badda” and “Lift It Up” which received high rotation on the local stations. In 2000 he joined the Fifth Element Records family where the real revolution began to take place in the DJ's musical career. He became famous for tunes like the number one “Life Ruff Out Deh”, “I Swear” as well as “Can't Stop Try”, “Respect Mama” and “How You Feel”. These selections formed a part of his explosive awe-inspiring album ‘Better Days' on the Fifth Element label that was released in 2005.